Get your free Disney Vacation planning dvd 2018 now! If you are dreaming of a vacation to Walt Disney World or Disneyland in your future we have a great tip for you. Get your hands on a FREE copy of the Disney Parks Vacation Planning DVD. You can pick whether you want the Disney World or the Disneyland video planning version and they are both up to date and new for 2018. We know that there are a lot of things to learn when you are planning your Disney vacation. We have been visiting the Disney parks for more than 25 years now and there are still things to learn. We get the Disney Planning DVD every year because it is a lot of fun to watch with the whole family so that we can look forward even more to our visits. Now you can get the new Disney planning DVD 2018 for free. You can also choose other DVD’s about Disney Cruise Lines and Alauni. The best thing about it? 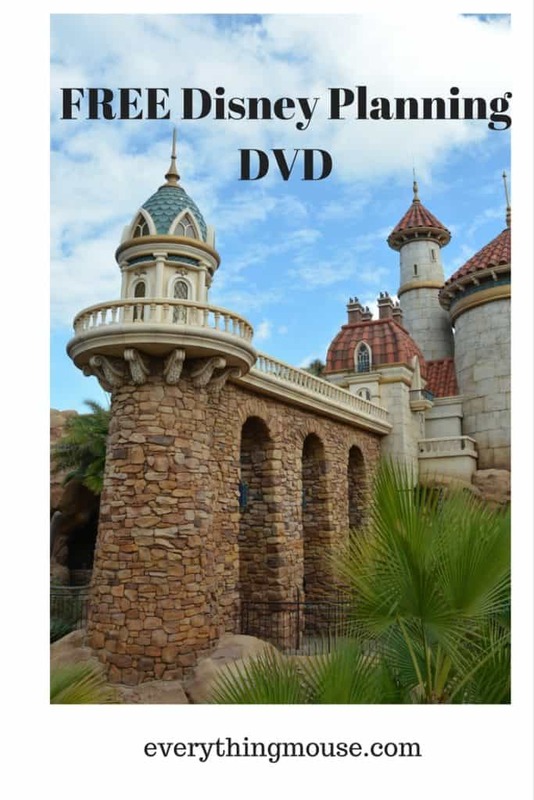 The Disney Vacation Planning DVD is completely free! You can get your copy by clicking on the picture link below. It is unusual to get anything in life for free and you may be thinking there is a catch, but there really isn’t! Disney does a wonderful job of presenting the excitement of a visit to the Disney parks on the DVD. The only disadvantage is that when you are watching it we know you will be just as hooked as we are and not be able to wait for your next Disney World or Disneyland vacation. Disney also does a nice job of personalizing the planning dvd for you – it will be addressed to your family. We know this isn’t a difficult thing for them to do, and it’s great marketing, but we love it anyway. The new Disney planning video 2018 has some new features. They update it every year so even if you already have the 2017 copy it is worth getting the 2018 version. Your Free Disney DVD usually arrives pretty quickly in the mail. It is useful for anyone thinking of planning a trip to the Disney parks. If you have never visited before the Disney planning video 2018 will give you a fabulous overview of the Disney parks. If you are a regular visitor it is a very fun thing to have. If you are wondering whether to book a trip it will probably convince you to!